The use of shielded RF boxes is a prerequisite for reliably testing radio interfaces. 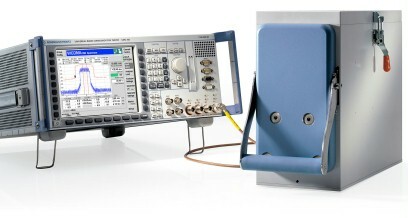 The use of shielded RF boxes is a prerequisite for reliably testing radio interfaces. This is the only way to ensure that DUTs are not affected by interference from other, external test systems, which would distort measurement results, and also to prevent other external instruments or test systems from being affected by the testing of the radio interface. To meet these requirements, a test box must offer high shielding effectiveness, a good antenna coupling factor, and a rugged mechanical design for reproducible results. The R&S®TS7121 RF test box has been designed to meet the requirements of automatic production lines. These include long service life, rugged design and automatic opening and closing of the RF box. Featuring high shielding effectiveness over a wide frequency range, the RF test boxes perform tests on modules and devices with a radio interface in accordance with a wide variety of standards such as ISM, GSM/CDMA2000®/WCDMA, Bluetooth®, ZigBee®, WiMAX™, WIFI and LTE. 1) With integrated absorber, when maintenance intervals are adhered to. 2) Without connectors on rear panel (> 20 mm (> 0.79 in), without lateral clamping levers (2 mm (0.08 in) × 30 mm (1.81 in)). 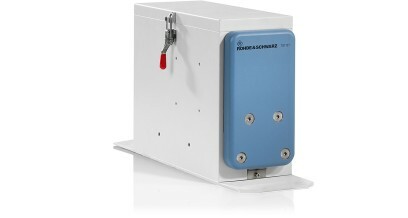 3) For location in test box, see figure "Side view of R&S®TS7121x RF shielded test boxes". 4) Feedthrough filter for fiber-optic link and compressed air on request.